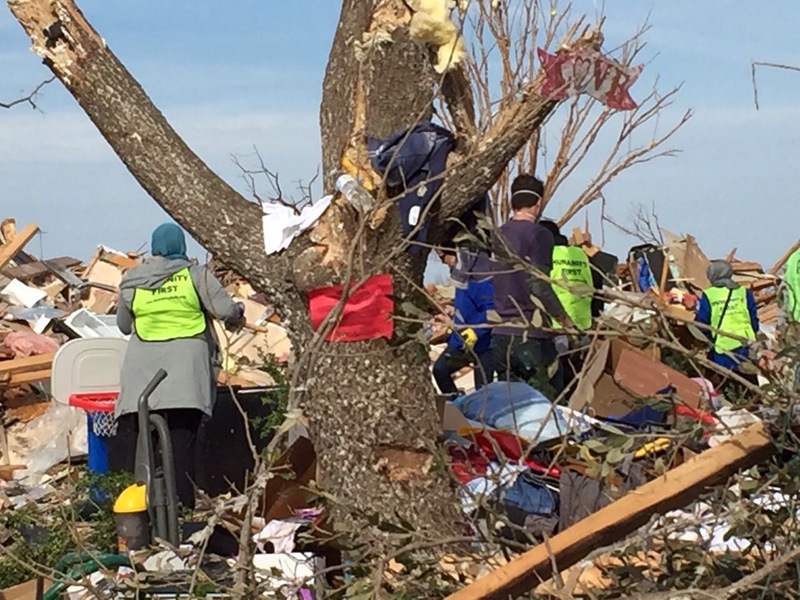 As parts of the nation is buried into celebrations of new year, many of our neighbors are yet to recover from the damages of an EF-4 tornado that stuck the area on Dec 26. Many members of the Ahmadiyya Muslim Community decided to embrace the new year by embracing these people in distress rather. They have been working with Humanity First, a charity organization set up to relieve suffering caused by natural disaster and human conflict, promote peace and understanding, and strengthen people’s capacity to help themselves. One of those houses was too damaged with lot of debris blocking the ways. 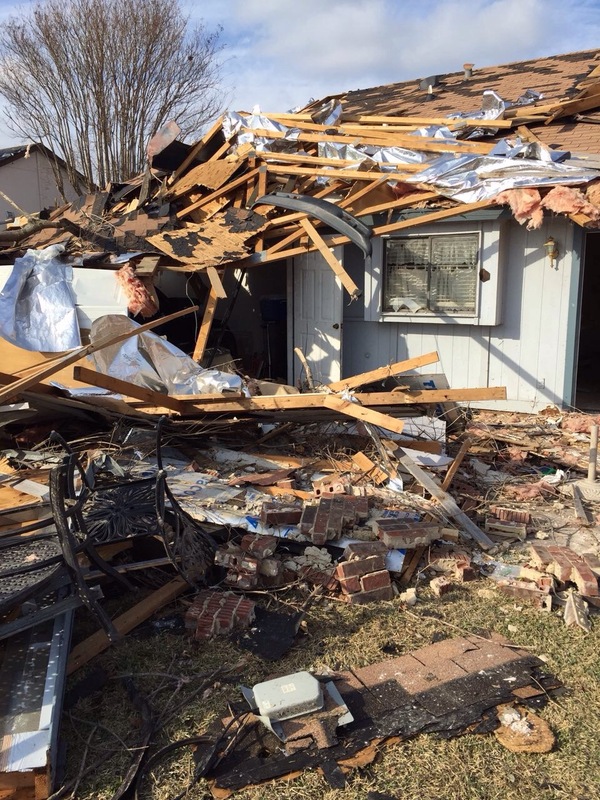 We helped clear the way so that he owner could get to the location where his bedroom used to be, and salvage some of his documents and valuables. When asked about any touching experiences, he mentioned an old couple of around 70 years of age who came to work with Humanity First. They just did not come and stay – they literally bent backwards helping in real physical work. There were also some people with chain saws who served voluntarily. He also mentioned a group of ladies belonging to the organization Islamic Relief for their help. But no help is too big, Mr. Rana says. 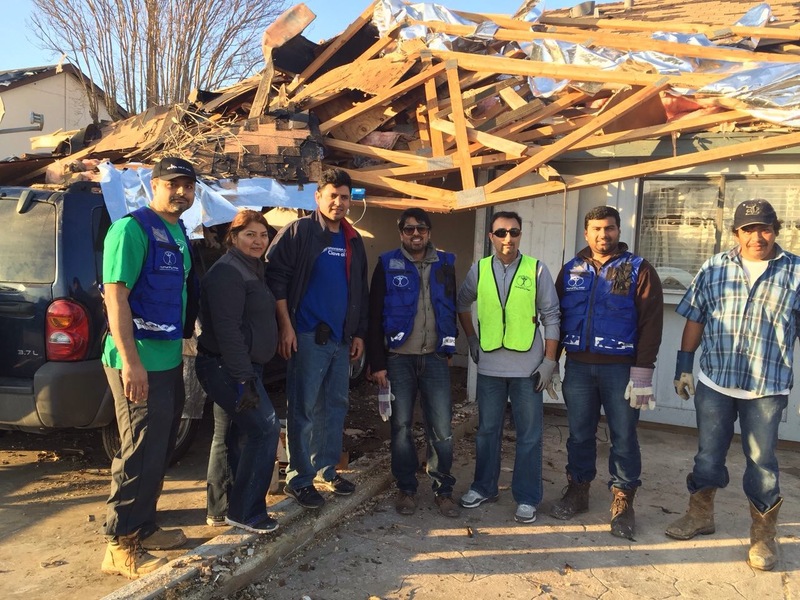 We are also bringing in people from other AMYA chapters such as Houston and Austin for help. Some students from UT Austin also planning to join in. There will be work everyday and we need to get more volunteers for weekdays. 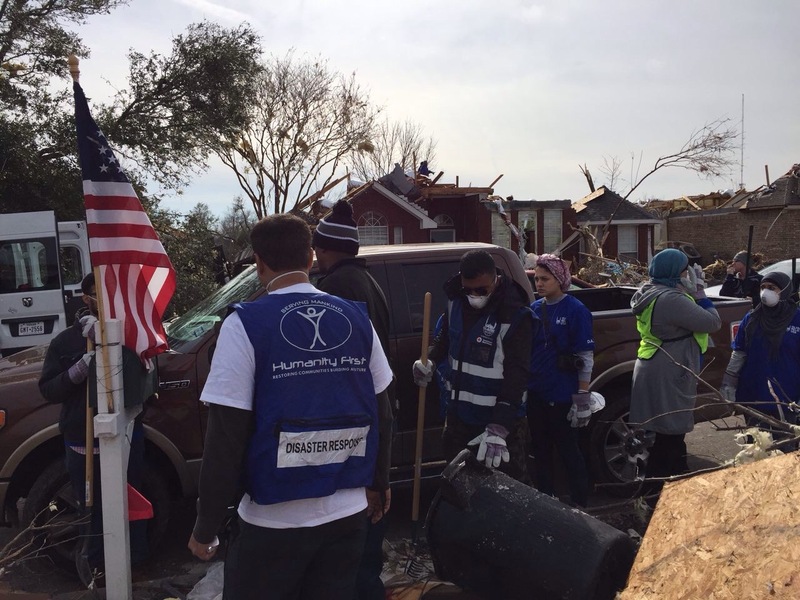 Humanity First is in need of volunteers and cash donations in continuing the efforts. Please contact us if you are willing to help in any form. The outpouring of support has been overwhelming and for that we’d like to thank you. The stories we are hearing are heartbreaking and to be able to say to them “tell us what you need and we will make it happen”, knowing we have teams of people like yourself along with donors who are willing to “make it happen” makes our job much easier. To see a mother’s tears as she tells me how her children have nothing and if they just had a toy or food, they would be happy and know that you all can make that happen, is worth more than you can imagine. 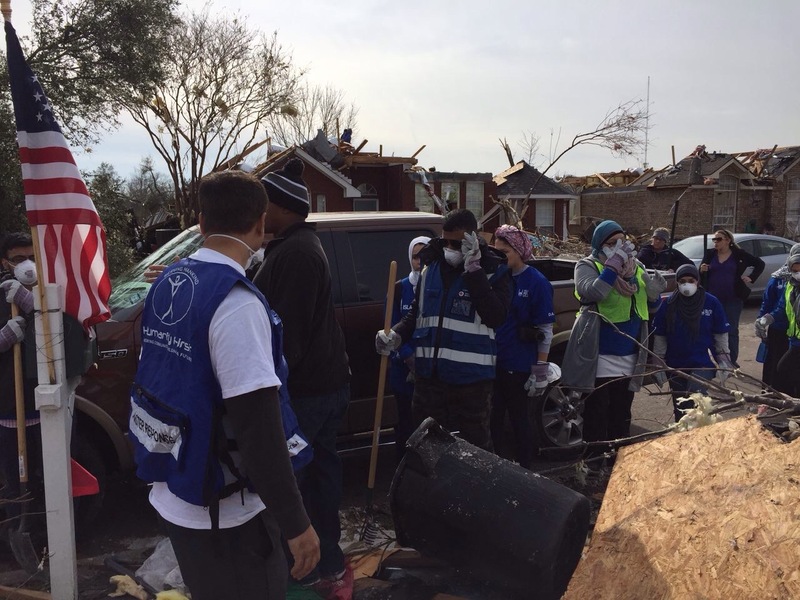 To see the teams of volunteers, cleaning up those homes as a young boy sits and tells me of his house that was picked up, turned 90 degrees and dropped onto another house two houses away and he survived only because he wasn’t home, makes the world different to him. We may not think that we’re doing much, but to these survivors, we are the world right now. From the bottom of our hearts, we thank you. Please keep it up. Great work. Love for all hatred for none”.